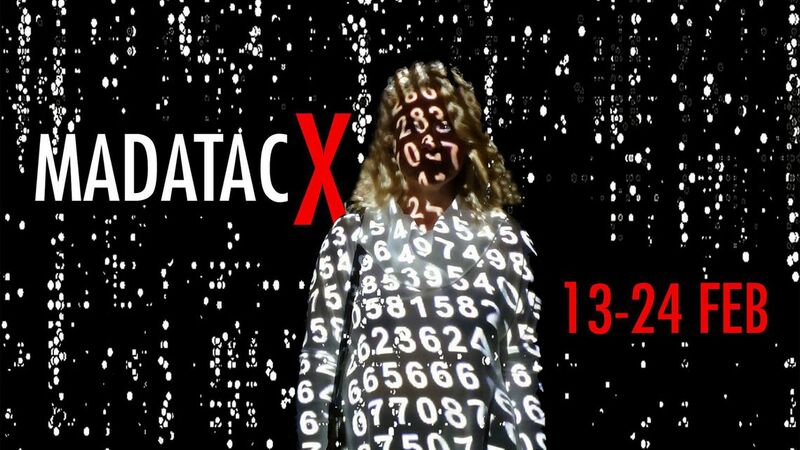 MADATAC X edition is ready to offer you whole new programme! MADATAC is an independent and non-profit springboard, with a cultural diversity approach for cutting edge experimental and new media audio-visual culture, that particularly values innovation, originality and risk-taking art projects. This unique and leading international event takes place in Madrid (Spain) each February within the city Mile of Art. Our objective is encourage the participation of citizens in the fields of audiovisual art, video art, digital new media art culture and to promote the exchange of knowledge between professionals with collaborative projects which serve as a collective laboratory were artists can present their most recent creations to the greater public, critics, commissioners, scholars from university institutions, curators, collectors, institutions and companies, as well as other trained members the community.